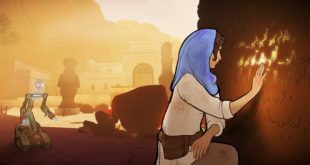 The finalists have been revealed for this year’s Independent Games Festival Awards. Taking place on Wednesday, March 16th during the Game Developer’s Conference, the IGF Awards will once again be hosted by Capy Games president and co-founder Nathan Vella. 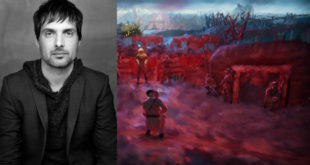 Leading the nominations is British developer Sam Barlow, whose FMV crime tale Her Story has been selected in four categories – Excellence in Narrative, Excellence in Design, the Nuovo Award and the Seumas McNally Grand Prize. Joining Barlow is Mini Metro developer Dinosaur Polo Club, which has similarly been tipped for four prizes in Design, Audio, Visual Art and the Grand Prize. Hot on their tails is Toby Fox for his innovative RPG Undertale and Red Hook Studios for gothic roguelike Darkest Dungeon, which picked up three nominations each. More than $50,000 worth of prizes will be handed out, with the winner of the Seumas McNally Grand Prize receiving $30,000. More than 750 games were considered by the shortlist by over 400 judges. Take a look at the full list of finalists and honourable mentions on the IGF website.